Here’s some exciting news, Justin Ishmael has expanded his Famous Monsters of Filmland Galligantus merchandise line with a new collection of t-shirts! 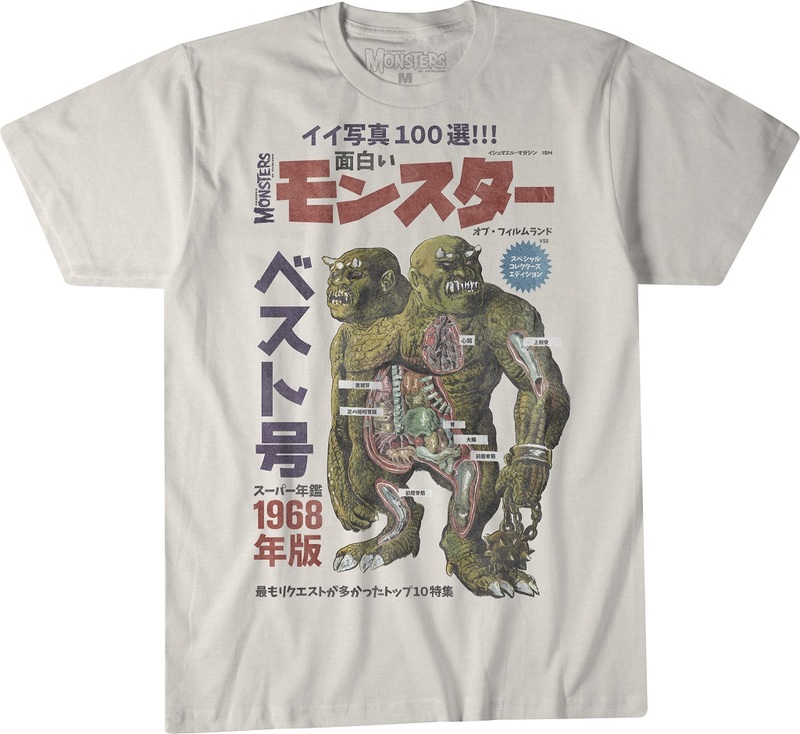 There are three designs in the Justin’s Famous Monsters of Filmland x Galligantus T-Shirt Colleciton, one of which includes the classic Ron Cobb version of the monster Galligantus from the Famous Monsters of Filmland Yearbook 1968. The Blot especially loves the Japanese Famous Monsters of Filmland Yearbook 1968 cover tee by Brent Ashe, which features a new dissected version of Galligantus by Ken Landgraf. All three of these officially licensed Famous Monsters of Filmland Galligantus t-shirts are available now, in multiple colors, at Justin Ishmael’s online store in sizes S-2XL for $28 each.